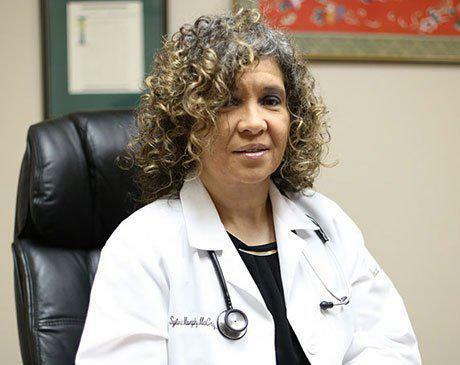 Board-certified family nurse practitioner Sylvia Murphy-McCray provides expert diabetic support and education at Medical Alliance of Southern New Jersey in Vineland. She is an important member of the interdisciplinary team and provides efficient, compassionate care to established patients for sick visits, wound care, as well as annual physicals. But it is her special interest in the diabetes education clinic that makes Ms. Murphy-McCray such a valuable member of the Medical Alliance team. She implemented a 24-hour glucose monitor testing program so that patients can maintain better control of their blood sugar levels. She also provides one-on-one counseling to support diabetic patients and help them to keep their blood sugar levels under control. She received her master of nursing degree from Walden University and has been practicing as a nurse since 2014. She is passionate about further schooling and research opportunities to contribute to the nursing field and is pursuing a doctorate degree in nursing. Note: HMO and Managed Care patients must call 3-5 days in advance for in-network referrals. Co-pays and non-coverage fees are due and payable at the time of service. Most insurances are accepted, however, no Medicaid plans are accepted.